What do markets have to do with haggis? Now that the tennis is over, Melbournians can look forward to some more cultural activities during February, including Chinese New Year celebrations, the St Kilda Festival and the Lygon Street Festival. With perfect swimming weather and school holidays now done and dusted, it's a lovely time of year to be in Melbourne. Yet, unfortunately, life isn't so idyllic when it comes to the markets. This week, economic releases include Australian inflation data, with economists forecasting a fall to an annual rate of 1.7% from 1.9%. On Wednesday evening our time, we'll get the preliminary December quarter US GDP report and the latest monetary policy decision and statement from the Federal Reserve; no change is expected to the funds rate. On Thursday evening, it will be the EU's turn to update us on its gross domestic product for the December quarter and unemployment for December. On Friday evening, the US will report on the employment situation for January. All of these developments have the potential to inject extra volatility into a week when many will still be worried about the state of the Chinese economy. Meanwhile, the ongoing political back-and-forth over Brexit is filtering down to the core of UK culture. 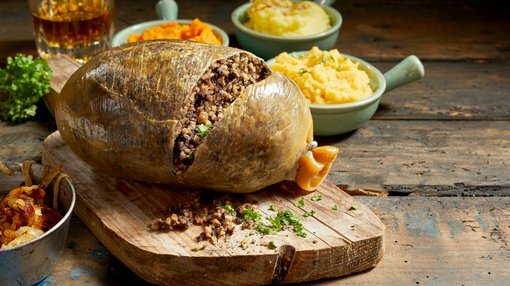 Scotland’s largest haggis maker has instigated a plan to ensure the offal-rich national dish continues to be made in the event of a disorderly Brexit. Lovers of this culinary morsel shouldn't fear — the ingredients all originate in Scotland. However, if a widget in the machinery breaks, there could be a problem, as most of those are produced in Germany. All, however, is not lost, for the enterprising Scots should be able to do a deal on widgets, given that Germany is their largest international client for the dish. Unrelatedly, index futures are down 20 points, following negative sentiment on Wall Street where the major indices are all down around 0.8% going into the close. The Australian dollar is at US$0.7167 and the 10 year bond at 2.20%.